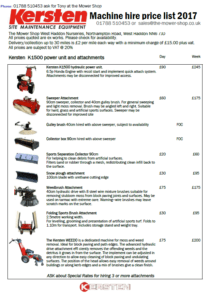 We now have access to the Kersten range of pedestrian powered units and attachments. 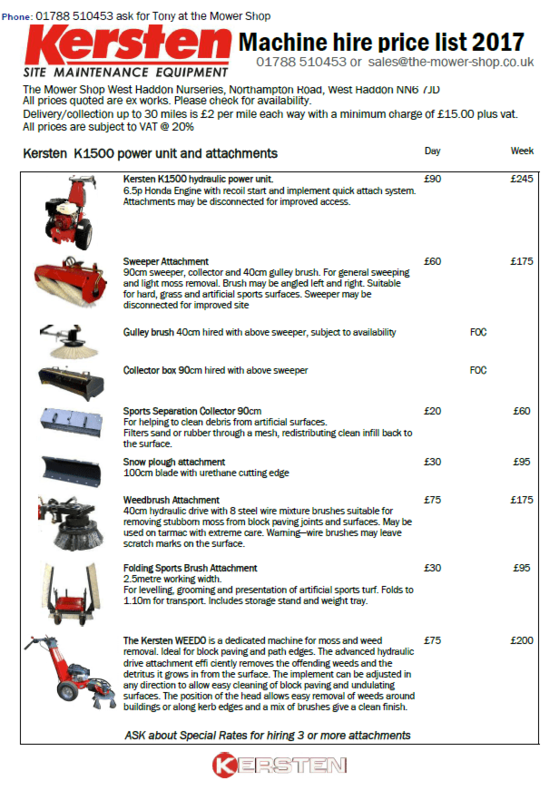 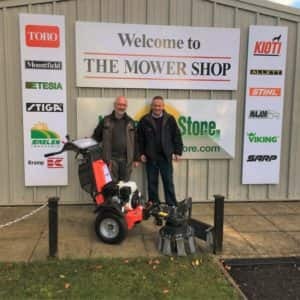 If you are interested in outdoor maintenance machines Kersten offers a whole spectrum for area maintenance: various devices for the cleansing of the weeds (wire brush), for the winter maintenance (snow plough), the sweeping of surfaces (brush attachment), mowing and mulching (flail and cylinder) and for seeding the ground (seeders). 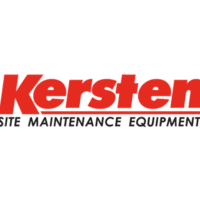 Kersten is one of the leading providers for site maintenance equipment. 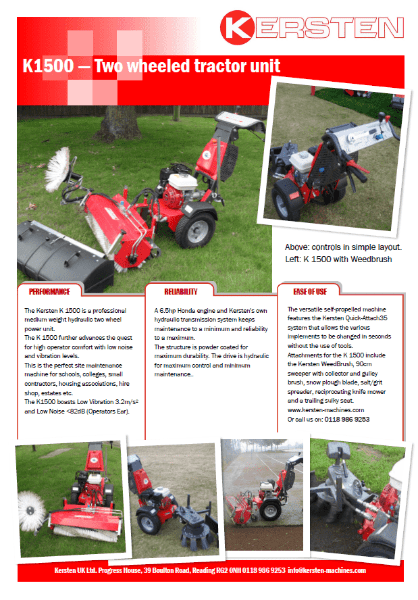 For product demonstration videos please visit our video page to see Kersten demonstration videos as well as many other product vids. Also starting January 2018 we are able to offer selected Kersten machines for hire. 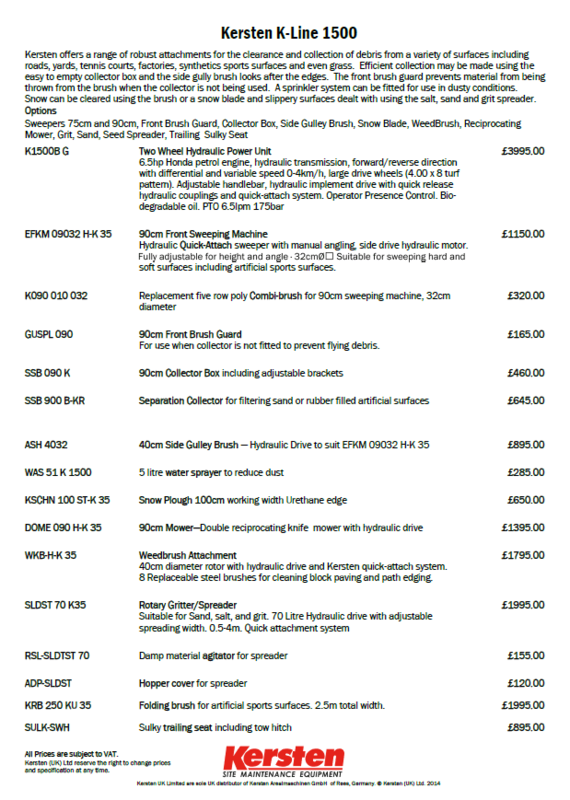 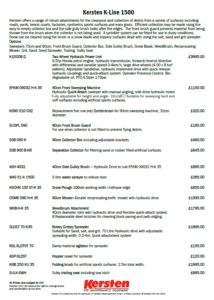 All prices listed below exclude VAT.